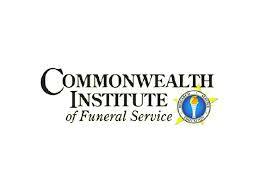 Commonwealth Institute of Funeral Service in Houston, Texas, is devoted to raising the standards of the funeral service profession by preparing students as funeral directors and embalmers.The Institute offers two programs an Associate of Applied Science Degree and a Certificate in Funeral Directing. We have been providing education for funeral service professionals as funeral directors, embalmers or both since 1936. The funeral services profession is our sole mission.